These colorfully illustrated new easy readers with audio CDs (mp3 format for longer texts) are designed to interest the adolescent student with science fiction, fantasy, adventure, detective, and slice-of-life stories broken down into 6-8 chapters each. The collection is structured with attention to two levels of literacy. Levels A1-A2 contain 300-500 assorted words, level B1 ranges from 500-900 words. 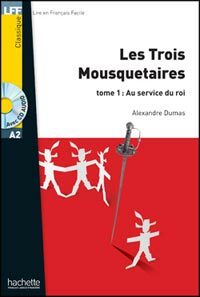 Each book includes an additional French-language glossary, a post-novella activity section with answers, and features characters from both Le Mag and Le Kiosque textbook series.